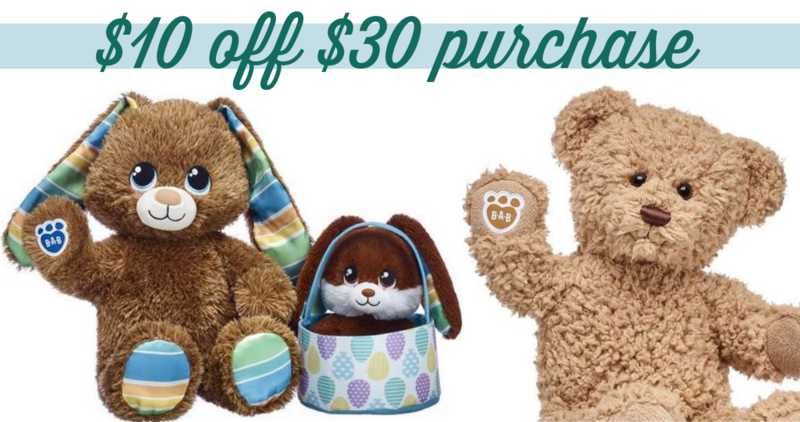 You can use this Build-A-Bear coupon code to get $10 off your purchase of $30 or more. They have some fun Easter themed Furry Friends to choose from. Offer is for online purchases only. Enter code PUPPY at checkout to get this offer. Shipping is free with a $45+ order. This offer ends tomorrow, 3/24. See more great kids deals!